I know these feelings from experience, and, don’t worry gents, I’m going to share with you some advice that will help you choose the perfect engagement ring. Choosing an engagement ring – where to start? Most of the men who come to me for engagement rings start the process feeling overwhelmed and, to be honest, clueless about what type of ring to select for their loved one. It’s completely natural to feel this way and we’re here to support you and to make the process of selecting an engagement ring enjoyable and memorable. The first decision you need to make is whether you are going to purchase a ring for the proposal or whether you will choose a ring together afterwards. Here, you’ll have to rely on instinct and how well you know your partner. Is she the type of person who is quite particular about what she wants? Are you unsure what her style is? If yes, then you might want to involve her in the decision-making process. Or perhaps she goes with the flow and has always loved your choices of presents and jewellery in the past? In this case you might feel more confident in selecting the ring yourself. If you opt for picking a ring together, you’ll need to consider having a ‘stand-in’ ring for your proposal. Then you still have a ring to present but you can explain how you would like to experience the special event of choosing a ring together. You can really make an occasion of it, especially if you decide to create a bespoke ring with us. We can organise champagne, canapés and petit fours to accompany our engagement ring consultations. 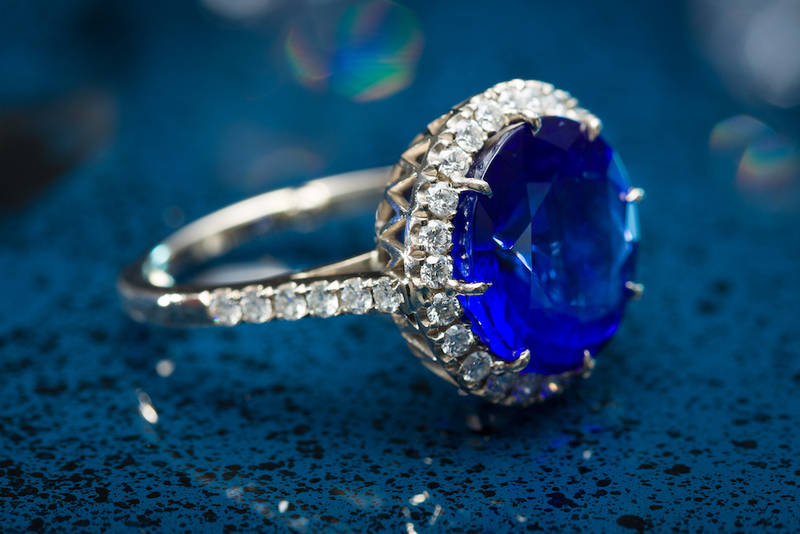 Together we will discuss your fiancée’s style, diamond, jewel and metal preferences in a private and elegant location. We’ll view beautiful hand-painted gouache drawings of engagement rings for inspiration. Once we have agreed your requirements, we’ll then have our award-winning designer make sketches of the ring for you to review at a second consultation. Depending on the scope of the ring, we may have an additional stage where we approve hand-painted designs. Or our third meeting may be the fitting and presentation of the ring, again with a glass of champagne to celebrate. Making choosing an engagement ring together a very intimate bonding experience that you’re sure to remember forever. If you’ve decided to select an engagement ring yourself and go for the full surprise proposal, then we are still here to support you. 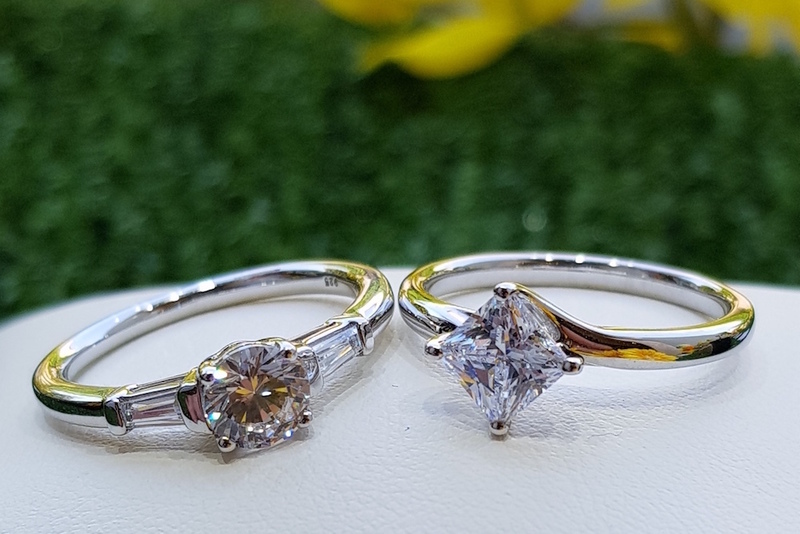 We have a range of off-the-shelf diamond engagement rings available in our boutique, but our most popular request is for a bespoke engagement ring. What patterns can you notice? Which jewels does she prefer? Diamonds, sapphires, rubies, emeralds – engagement rings don’t have to be diamonds – go with whatever suits her personality and individual style. Don’t be afraid to ask her friends and family a few discreet questions about what she might like – assuming you can either do this without arousing suspicion or that they can be trusted to keep the secret. Perhaps she’s always dreamt of a particular ring or admires a celebrity’s engagement ring – e.g. Kate Middleton’s sapphire engagement ring is popular at the moment. Once we’ve covered the groundwork and have built up a picture of your partner’s preferences, we get into the detail to finish off the ring. If you are choosing a diamond engagement ring here are a few facts that might be useful – we’ll talk you through all these though, so don’t feel bogged down by the options. The Gemological Institute of America (GIA) created the 4Cs as the industry standard for grading diamonds: Cut, Clarity, Colour and Carat weight. 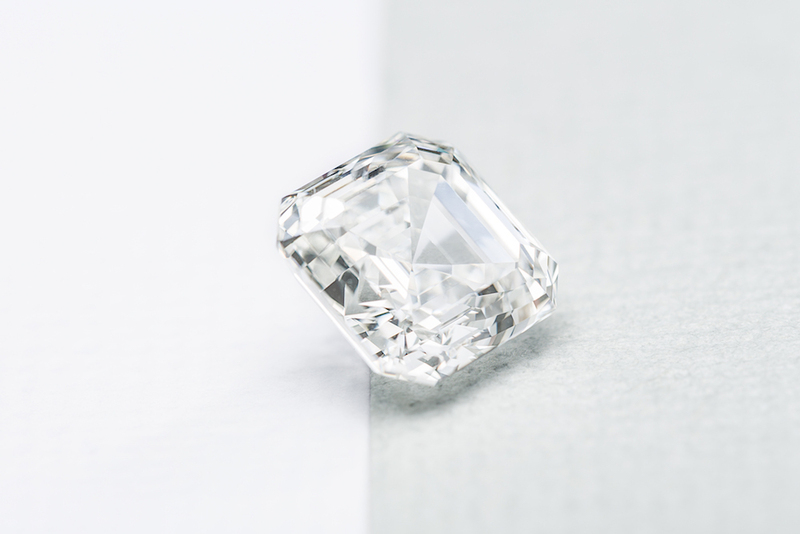 Cut – proportions and shape determine the brilliance and fire within a diamond. A poor cut diamond will not sparkle as much as an excellent cut and polish. Clarity – all diamonds have natural traces of growth, these are known as internal characteristics. When discussing clarity, we talk about the size, number and location of these characteristics when examined under 10 x magnification. The highest grade is Flawless, the lowest grade is Included (I3). Colour – in white diamonds is actually graded as the absence of colour, i.e. the whitest it can be. The vast majority of white diamonds actually have yellowish tints. The scale starts at the highest D – colourless and goes down to Z – light yellow/brown. Carat weight – the weight of a diamond is measured in metric carats. One carat is equal to 0.2g. The larger the weight, the more expensive. The better the combination of the 4Cs means the greater the quality of the diamond. Does size matter? It is often better to select a diamond with a higher grade cut, clarity and colour than simply choosing the biggest. However, you know what she likes, and if big and sparkly is her thing, then go for it! If you would like an in-depth look at diamond quality and the 4Cs then take a look at the GIA’s website. Cushion cut – a rounded square or rectangle cut. On the left, a traditional 0.80ct round brilliant diamond, set between 2 trapeze cut diamond shoulders. On the right, a 0.90ct princess cut diamond, in a twist setting ‘north to south’. Trilogy setting – with three diamonds, symbolising your past, present and future love. One option that we haven’t mentioned is that of converting a family heirloom into an engagement ring. This is a deeply personal and sentimental approach that might suit you and your partner – if it does, then have a look at how we can remodel jewellery and turn something old into something new. There are many options to consider in choosing an engagement ring for your partner, but creating a custom ring means that we’ll guide you through each step, making the process surprisingly simple and enjoyable. What you’ll end up with is a uniquely exquisite engagement ring that expresses both your love and your partner’s personality like no other. To enquire about our engagement ring design service please get in touch for a private appointment. We can visit you at any location in the UK or if you are local to North or West Yorkshire you can visit our boutique in Boston Spa.